A new framing paper for the High-Level Panel on Water – WaterGuide – is now publicly available. It is an organising framework for improving water resource management and use in response to scarcity. It is intended to be used primarily by national or local governments in countries where water scarcity is a present or future threat to human health and wellbeing, economic development and/or environmental sustainability. 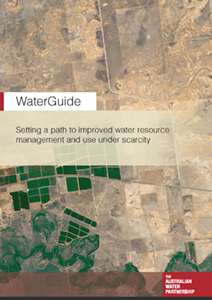 WaterGuide provides multiple entry points for decision makers seeking to adapt proven water governance (including policy, regulation, incentives and institutions) and management arrangements to their own country or sub-national context. 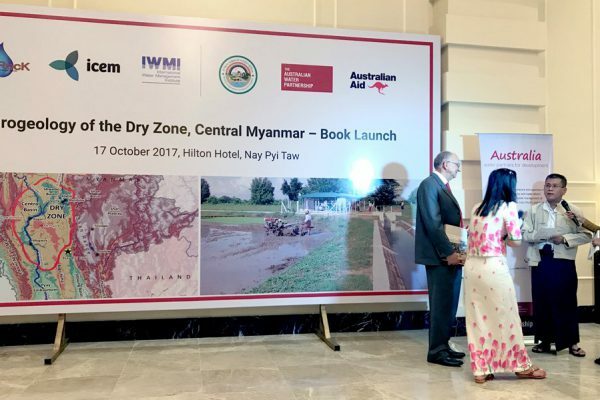 The paper was prepared for the Australian Water Partnership at the request of the Australian Department of Foreign Affairs and Trade by H. Pohlner and W. Fargher of Aither, and submitted to the World Bank/UN High-Level Panel on Water in March.